Stephen Suh, assistant professor, Sociology and Women’s and Ethnic Studies departments, will share his research and own personal experiences about Korean Americans returning to South Korea in “Nostalgic for the Unfamiliar: The Ethnic Return Migration of Korean Americans.” He will present from 5:30 p.m. to 7 p.m. Oct. 4 at the Heller Center for the Arts & Humanities as part of its Salon Series. Suh’s research and teaching interests lie at the intersections of race, ethnicity, gender, migration, culture and identity, especially in relation to Asian Americans and the Korean dispersion. His ongoing research on Korean American ethnic return migration has been funded by the Fulbright Program, the Korea Foundation and the Research Center for Korean Community. 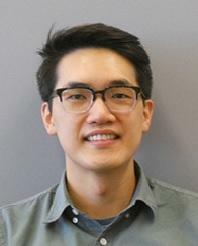 One of his current research projects examines the migratory experiences of and strategies used by Korean American chefs and restaurateurs in South Korea’s food and beverage scene. Suh’s ongoing work explores the phenomenon of ethnic return migration through the lived experiences of Korean American “returnees”; examining the motivations behind their transnational sojourns, as well as their ability to transition to South Korean society as “cultural strangers.” Stephen also writes about Asian American cultural formations and identities, focusing on topics such as food, sport, and space. An optional reading is available for attendees, which provides Suh’s personal experiences and his research into the return migration. Light refreshments will be served. No registration is necessary.